What you need to know about Janúca or Hanukkah or Chanukah - and the festival of lights. The spelling differs as it's a translation of a Hebrew word. 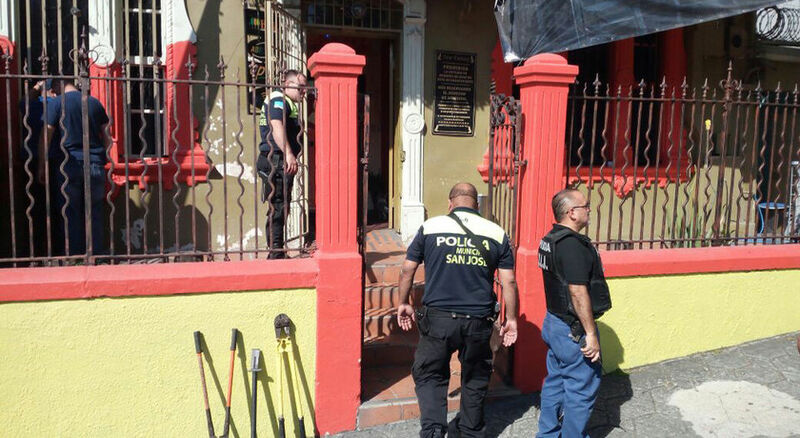 In case you don’t know Costa Rica has a Jewish population. The first Jews in Costa Rica were probably “conversos” (converts) who arrived in the 16th and 17th centuries with Spanish expeditions. In the 19th century, Sephardic merchants from Curaçao, Jamaica, Panama and the Caribbean followed. A third wave of Jewish immigrants came before World War I and especially in the 1930s. 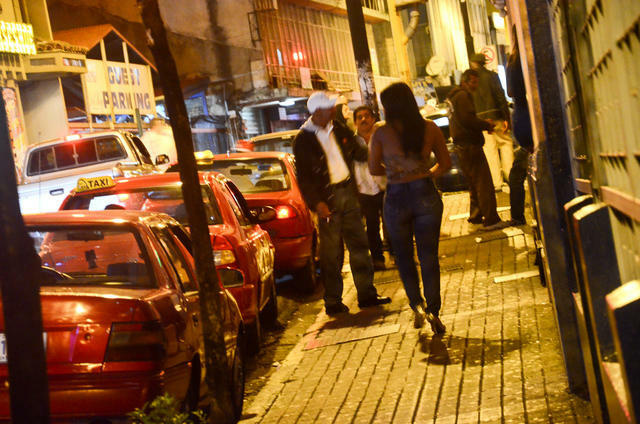 The term “Polacos”, which was originally a slur referring to these immigrants, has come to mean door-to-door salesman in colloquial Costa Rican Spanish. They lived mostly in the Central Valley, married local women, and were soon assimilated into the country’s general society. Most eventually gave up Judaism altogether. The country’s first synagogue, the Orthodox Shaarei Zion, was built in 1933, in San Jose. 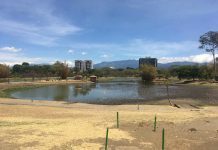 In the 1940s there was some anti-Semitism in Costa Rica, but generally, there have been few problems. 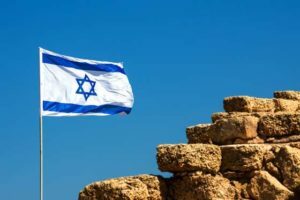 Since the late 20th century there has been a fourth wave of Jewish immigration made up of American and Israeli expatriates who are retiring here or doing business in the country. The Jewish community is estimated to number 2,500 to 3,000 people, most of them living in San Jose. Rohrmoser, on the west side of San Jose, has a strong Jewish influence due to its residents. A couple of synagogues are located here, including the Centro Israelita Sionista (Zionist Israeli Center) a large Orthodox compound located next to the AyAy main offices, that includes a synagogue, library and museum. 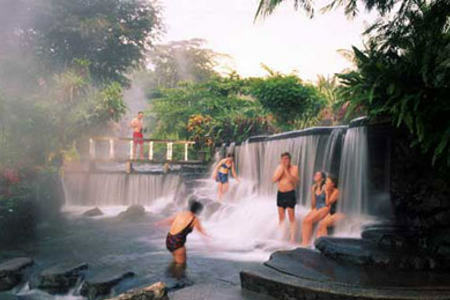 Diplomatic relations between Costa Rica and Israel are friendly, and the former was among the first nations to recognize the State in 1948. For years, the Costa Rican embassy was one of only two embassies (El Salvador is the other) that remained in Jerusalem, but, in 2006, it was moved to Tel Aviv where the rest of the embassies are located. 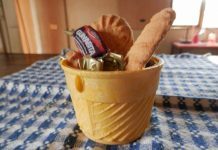 “Menora de la Sabana”. 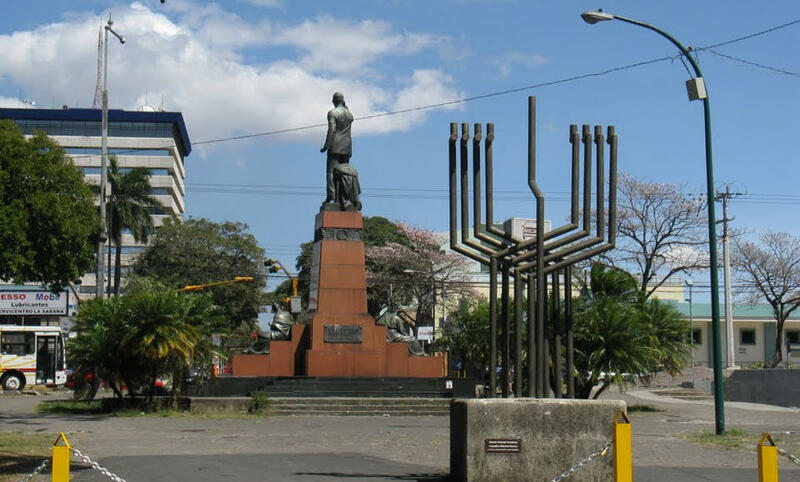 A large menorah sits at the east entrance of La Sabana park in San Jose. 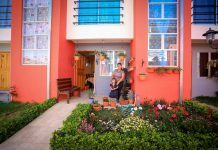 Jewish life in Costa Rica today is very vibrant. 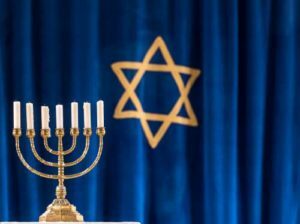 This evening (Dec. 12) the first candle of the menorah is lit to begin the Jewish eight-day ‘festival of lights’, celebrated with a nightly menorah lighting, special prayers and fried foods, ending on Dec. 20. Questions about this Jewish festival answered! 1HOW DO YOU SPELL IT? 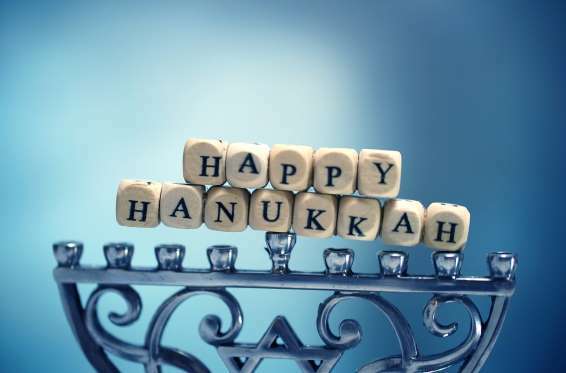 According to the Oxford English Dictionary, variant spellings of the celebration include: Chanucha, Hanuca, Hanucka, Khanukah, and most every other combination imaginable, with the most common spellings today being Hanukkah, Chanukah and in Spanish, Janucá. 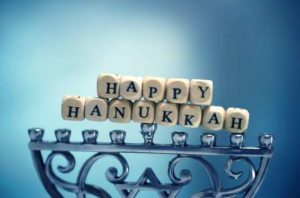 The reason for all the spellings is because Hanukkah isn’t a native English word—it’s not even from a language that uses the Latin alphabet. 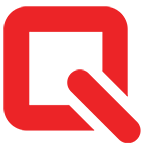 When converting between alphabets, there is a choice whether to preserve the pronunciation or the spelling, and sometimes the results don’t match [PDF]. 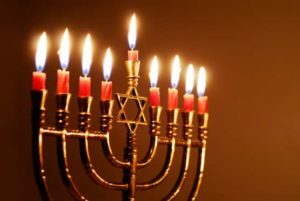 In the case of Hanukkah and Chanukah, Hanukkah, represents the spelling, while Chanukah more closely represents the original pronunciation, with a Ch like the Scottish pronunciation of loch. 3HOW MANY ARMS SHOULD A MENORAH HAVE? 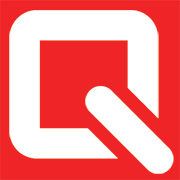 This isn’t as straightforward a question as it may appear. Outside the Knesset (the Israeli parliament) is a statue of a menorah with only seven arms. This represents the menorah of the Temple, which had seven arms and has long been one of the symbols of Judaism. And Hanukkah’s miracle of the oil made use of the seven branched version. 4WHAT’S THE DEAL WITH THE MIDDLE CANDLE? 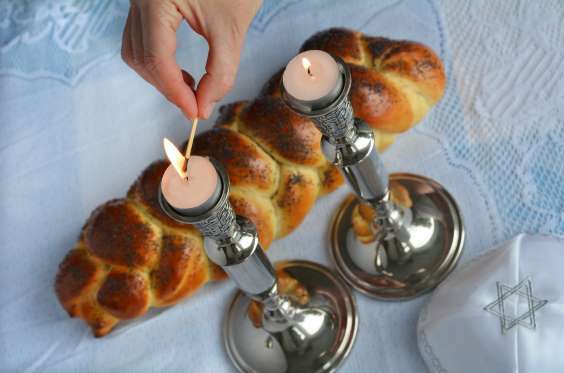 On a standard hanukkiah, one of the candles is raised, lowered, or otherwise separated from the other eight. 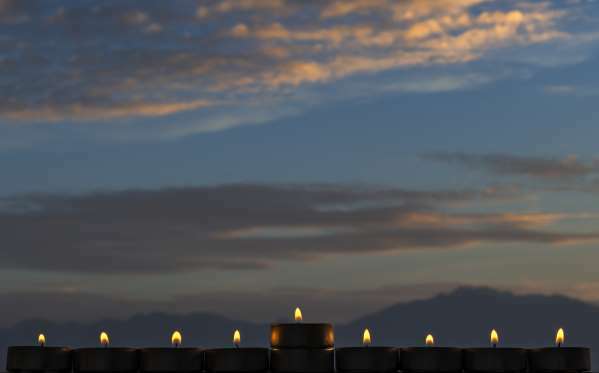 This candle is called the shamash and is considered distinct from the main candles (in other words, on the first night of Hanukkah there are actually two candles lit—the first candle and the shamash). 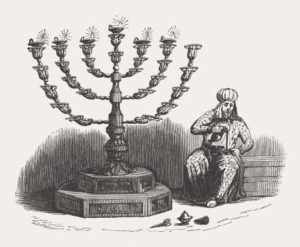 It serves multiple purposes, such as being used to light the other candles of the hanukkiah. 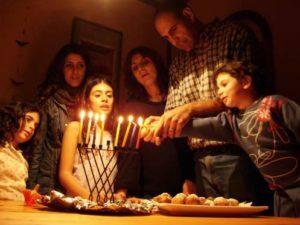 The extra candle is also important because it’s forbidden to use the main Hanukkah lights for non-religious purposes like reading or to derive a benefit from them. Part of the purpose of the shamash is to offload any benefit gained onto a non-important candle (although some Jews have other lights available to avoid even the shamash light). 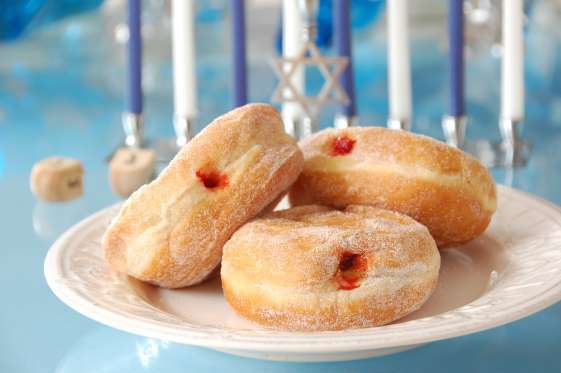 5WHAT DOES A TRADITIONAL HANUKKAH CELEBRATION ENTAIL? 7WHY SO MANY FRIED FOODS? 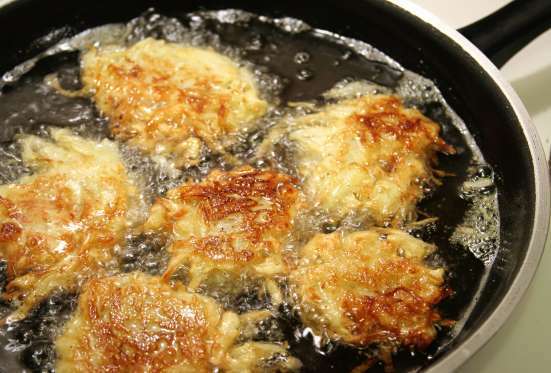 8WHAT OTHER TRADITIONAL FOODS SHOULD I MAKE FOR HANUKKAH? Gil Marks’s Encyclopedia of Jewish Food contains several other traditional Hanukkah foods from all over the world. These include zangula, a type of fried batter from North Africa; sefengor kindel, an Algerian plum filled fried dough; and even a Yemeni dish called laches djezar, which Marks describes as a carrot sauté. 9WHAT’S THE STORY BEHIND THE DREIDEL? 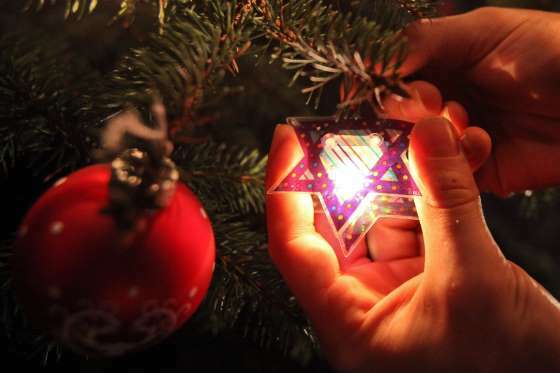 The dreidel is a traditional spinning top game. The top has four sides each with a letter on it, and depending which side comes up after a spin, the player has to do nothing, put a piece into a pot, or get some or all of the pot. The traditional story is that the letters represent the phrase nes gadol haya sham or “a great miracle happened there,” in reference to the Hanukkah miracle of the oil. Some versions go further, saying that the top was a tool persecuted Jews used to study the Torah. But modern historians tend to doubt this story, suggesting that it traces to a top game called teetotum or just totum. 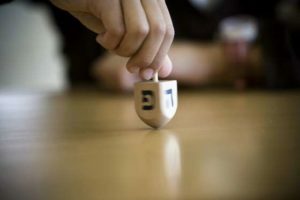 These tops traditionally had the letters of the action (Take all, take Half, Nothing, and Put) and when this was adapted for the Hebrew alphabet, the current dreidel appeared. 10WHERE DID HANUKKAH GELT COME FROM? 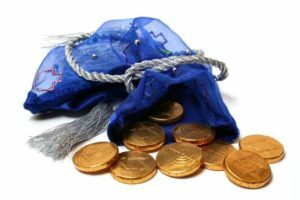 There are several different origin stories for Hanukkah gelt, the foil wrapped chocolate coins of every Hanukkah celebration. One version says that it derives from the coinage that the Maccabees minted after independence. Another story relates it to the word hinnukh, or education. This hypothesis says that due to the pronunciation and possible etymological relation between hinnukh and Hanukkah, coins were given to teachers and students at that time of year. There are other possibilities, but these were all real coins. According to The Oxford Companion to Sugar and Sweets, the chocolate may have come from an entirely different holiday figure: Santa Claus. The books says that in Belgium and the Netherlands people celebrated St. Nicholas’ feast day on December 6 by giving both chocolate and real coins to students and children, although they caution “it would be a mistake to draw too close a connection between this Christian tradition and Chanukah gelt.” No matter what, the first Hanukkah chocolate gelt is believed to have been from a chocolatier in the 1920s. 11WHY ARE THE COLORS BLUE AND WHITE? Likely because of the Israeli flag. In the 19th century, the Jewish poet Ludwig August von Frankl wrote that “blue and white are the colors of Judah,” likely basing the assertion on the Jewish prayer shawl the tallit. 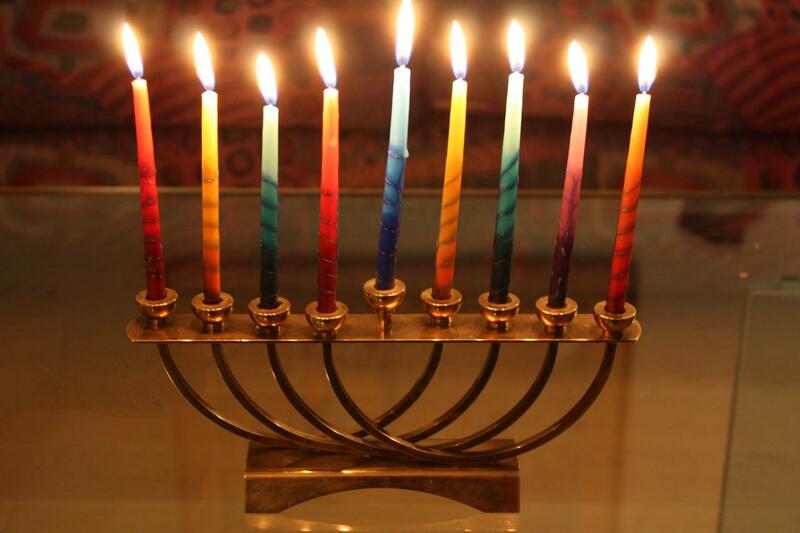 Eventually, the colors became associated with Israel and Judaism, and eventually Hanukkah. 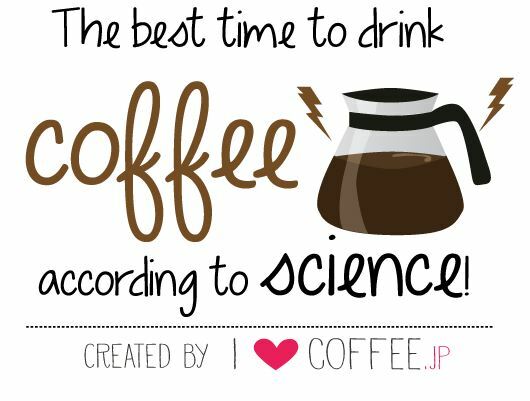 12BUT WHAT IF YOU CROSS THE INTERNATIONAL DATELINE? 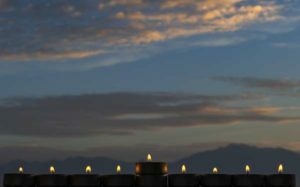 According to Ohr Somayach’s “Ask The Rabbi,” there are a few possibilities for how to handle traveling and Hanukkah (but you should consult your own Rabbi for specific cases). The first case involved someone who is traveling. 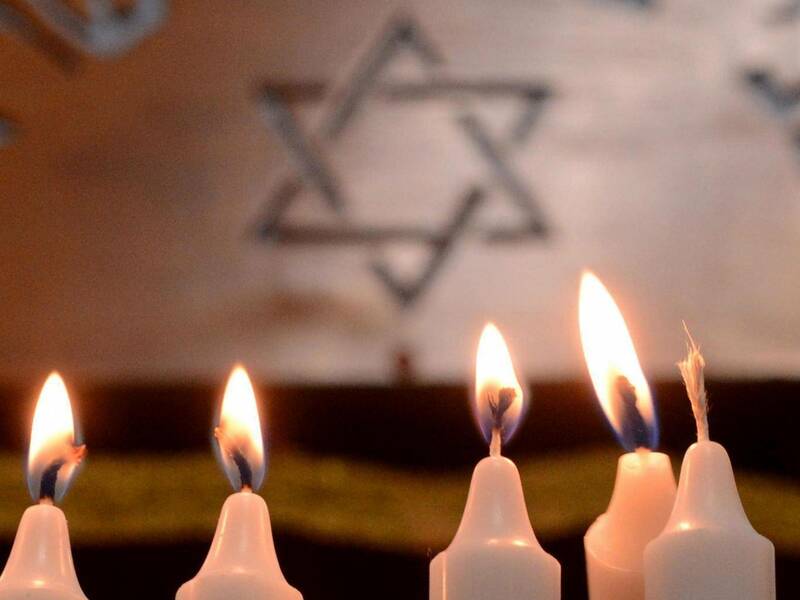 Ohr Samayach recommends appointing an agent to light the hanukkiah in the traveler’s home and recite the brachot when lighting both the traveler’s hanukkiah and the agent’s personal hanukkiah.